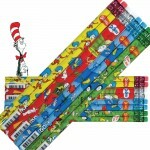 3 x 2 Dr. Seuss Banner. 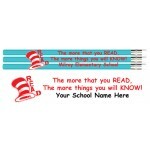 Digitally printed, high quality VINYL material, with rein..
2 x 3 Custom Dr. Seuss Banner. 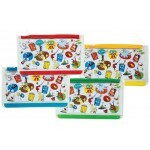 Digitally printed, high quality VINYL material, with re.. 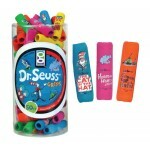 Assortment contains 6 designs, 48 Erasers per Box 2.5" Long x 1" Wide Read Across America Day .. Perfect item for Read Across America Day - March 2, 2018. 24 Crayon Erasers per bag. NEW ITEM!.. 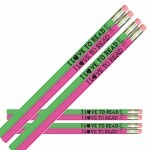 Customize your Read Across America Pencils. MINIMUM ORDER: 432 pencils. #2 Lead Wo.. 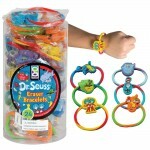 Wear your Dr. Seuss Eraser on the Go with this eraser/bracelet combo! 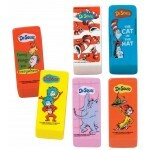 Six different designs per disp..
Dr. Seuss Foam Pencil Grips are sold in an assortment of 3 designs. 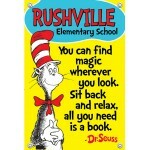 Great item for Read Across Am.. 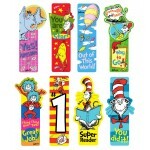 These colorful, assorted, die-cut Dr. Seuss Bookmarks are a great item for Read Across America Day.&.. 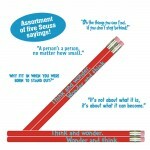 Your students will love this Dr. Seuss Pencil Assortment. 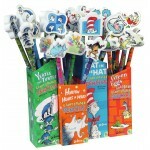 Assortment includes "Cat in the Hat", "..
Vinyl pouch features colorful artwork/characters from your favorite Dr. Seuss books. 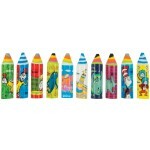 Red, Yellow,..
Dr. Seuss Pencil Assortment includes . 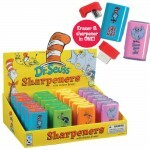 . . Yertle the Turtle, Horton Hears a Who, Cat in the Hat, an..
Dr. Seuss Eraser & Sharpener in ONE! Remove cap on either end to reveal eraser or empty shavings.. 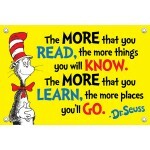 ENCOURAGE the "Love of Reading" with your students. 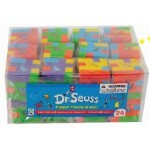 Assortment of two sayings...sold in incr..
Fidget Puzzle Erasers - 24 per Tub Dr..